A loan of $10,000 helped start and grow Legacy Vessels, an artist-led business producing memorials and urns. I grew up in Fergus Falls, MN with two brothers and a loving family. My home town is a beautiful city with a very strong community of locally owned businesses. I am looking forward to establishing my professional business in the heart of the city I grew up in. Today I work part-time as a personal caregiver at Pioneer Care. Pioneer is an assisted living home where I have the opportunity and privilege of taking care of some amazing home-town elders. My plan is to advance my artistic career to the point where I am creating artwork for people from all over the world. I want to successfully build my reputation as a smart, honest, and dedicated artist who has the qualifications for memorializing individuals. 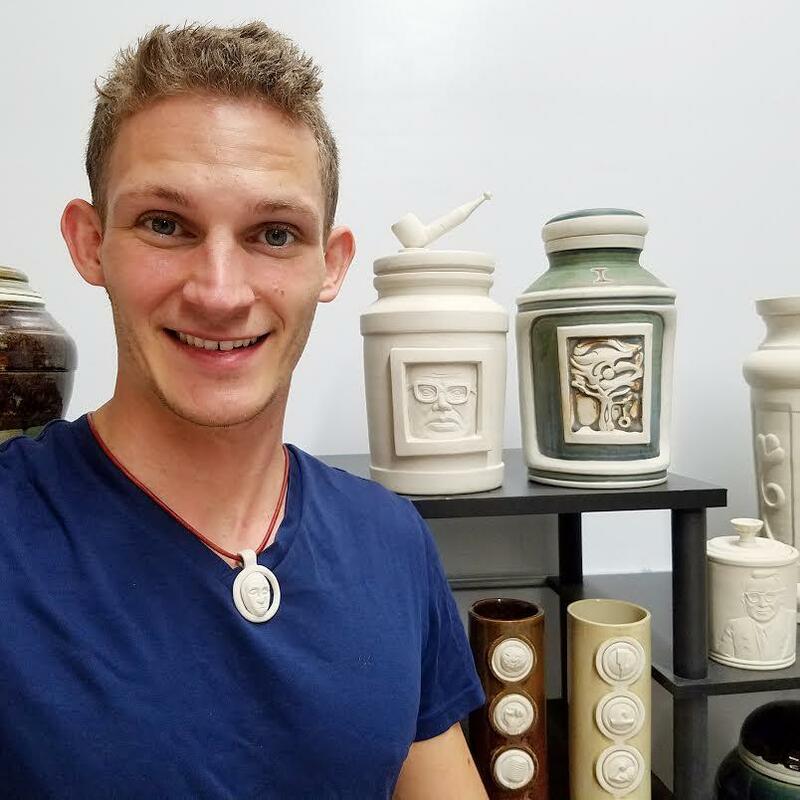 It helps a young artist expand his business in Fergus Falls, Minnesota. When I was 18 I was asked by one of my peers to create their mothers monument after she passed away in a heartbreaking car accident. I discovered how rewarding it was to use my talent and apply it to a timeless creations. Since that moment on I has been building my career around the creation of what I call Legacy Vessels. I am a potter and sculptor who designs and produces, memorial and celebratory porcelain artwork. This includes two product lines: Legacy Vessel Urns, and Attributes pendants. Together, a cohesive grouping of one-of-a-kind artistic products. I am seeking financial help to move my business forward. My plan is to leverage key competitive advantages - personalization and innovative urn designs, with traditional and non-traditional selling venues. My studio provides the space for molding production as well as wheel thrown vessels, sufficient carving space, a kiln, an office, and a storefront. My primary sales will come from tradeshows, online sales, in addition to referrals and contracts made with local Funeral Businesses. The work that gives me the most joy is applying my skills to timeless artistic creations. I have created a detailed plan of where my funds will be dispersed and when. I will be hiring a contractor to renovate my studio, a marketing professional to produce my advertising material, new equipment, production material and travel expenses. This all breaks down into specific goals. My first 4 month goal is to have a grand opening of my business which will be at my newly renovated studio. My home town will hear of this through the marketing material I have made. New products and catalogues will be features with wholesale prices for interested retailers. After the grand opening artwork will be featured and sold from online platforms and art fairs. I will be attending a National Funeral Directors Association Convention to learn the details about selling memorial works. My family is in support of me through every step of my journey. From my trip to China through my college education. They can't wait for me to pursue my business dreams. Me and my family look forward to the day when I am producing the work I love to make to an audience that is as eager as I am. Why are you endorsing Blayze? Blayze is a young emerging artist, based in rural Minnesota, that has a solid business plan for his art and understands that his practice is a business oriented art career and he has learned that he has to segment his time for creating, selling, marketing and bookkeeping to have a successful art career. He is outgoing and very motivated, applies for for every opportunity he can to promote and sell his artwork. He has been dedicated to his work at a very young age and was even able to travel abroad to study carving in China in 2013.